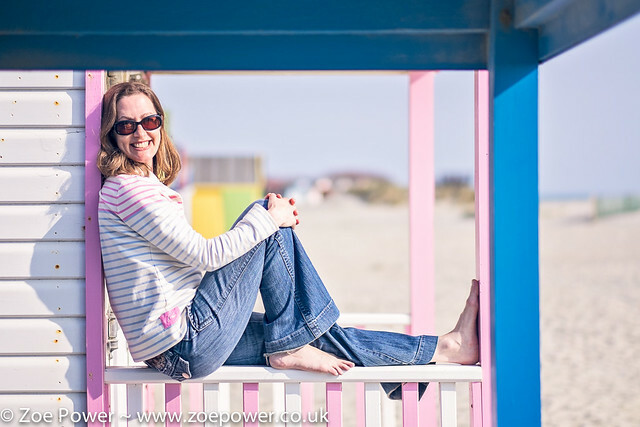 I was super excited to finally make it to West Wittering on a beautiful sunny day last week. West Wittering is beach hut paradise, complete with soft sand dunes, and has been on my hit list for quite some time. Well, let's just say I fell in love! 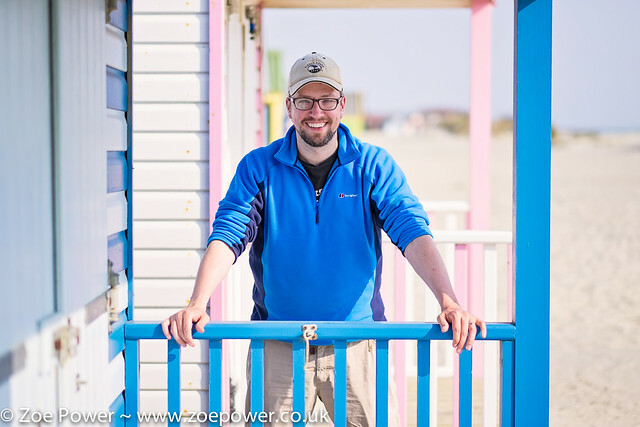 Imagine row upon row of pretty wooden beach huts, each one different, painted all the colours of the rainbow. All nestled into the dunes on the softest sand. 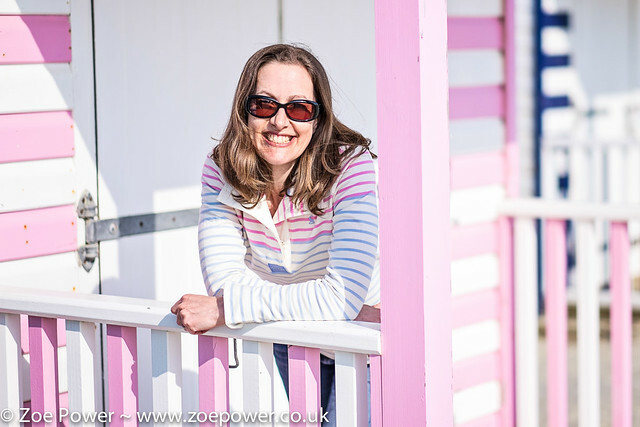 We had lots of fun taking some portraits on the verandahs once the beach had emptied a bit. Look, I match the pink one perfectly - it must be mine! I much prefer being behind the lens rather than in front of it, but even I made an exception for such a pretty location :) Photos of me taken by my lovely husband, alpower.com. In case you haven't seen enough(! ), a few more beach huts can be found in my West Wittering Album on Flickr. I hope you enjoy the remainder of the long weekend - finger's crossed the sun will shine tomorrow!